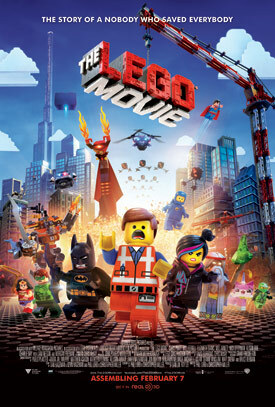 Chris Pratt, Will Ferrell, Elizabeth Banks and Morgan Freeman voice the 3D animated adventure. View The Lego Movie trailer and poster below. 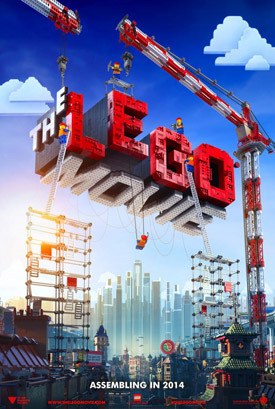 An ordinary LEGO minifigure, mistakenly thought to be the extraordinary MasterBuilder, is recruited to join a quest to stop an evil LEGO tyrant from gluing the universe together. MPAA Rating: (PG) for mild action and rude humor. “The Lego Movie,” the first-ever full length theatrical LEGO adventure, follows Emmet, an ordinary, rules-following, perfectly average LEGO minifigure who is mistakenly identified as the most extraordinary person and the key to saving the world. He is drafted into a fellowship of strangers on an epic quest to stop an evil tyrant, a journey for which Emmet is hopelessly and hilariously underprepared.